Liquid gold at Aubocassa but no need to rush! 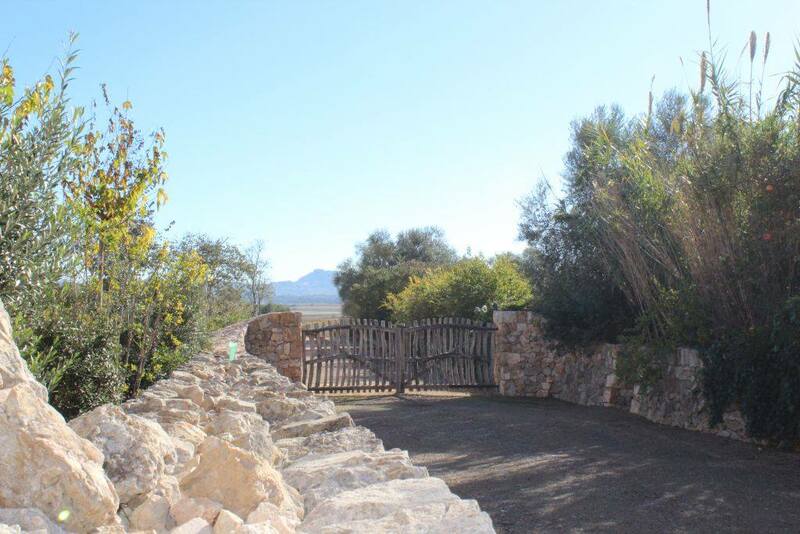 All MallorcanTonic readers will receive a complimentary glass of wine whilst touring the estate quoting Promo Code MallorcanTonic. 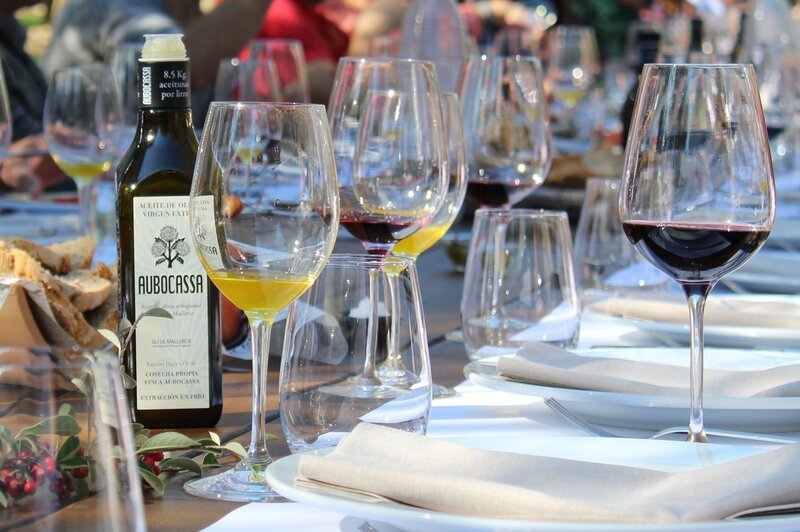 Aubocassa´s mission is a formidable one: to produce the best of virgin and extra virgin olive oil to showcase to the world what Mallorca has to offer! 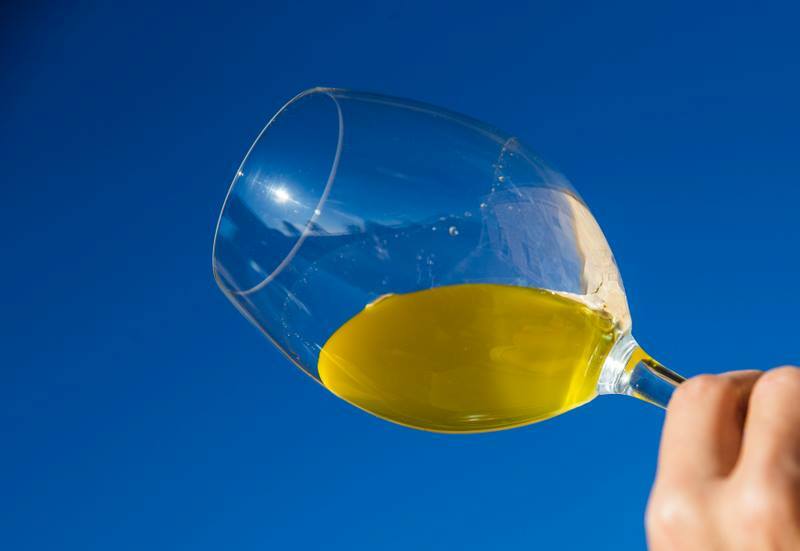 The estate is overseen by Tiffany Black and her team who will talk and walk you through the liquid gold of Aubocassa Oil so that you will come away considerably more knowledgable of the love and care that goes into harvesting this precious fruit. 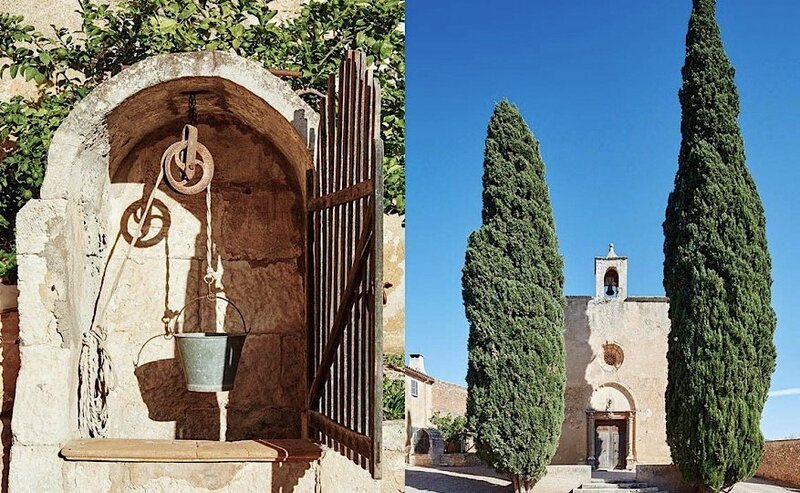 The Aubocassa estate is pretty much slap bang in the middle of the island surrounded by rolling hills and it makes for a wonderful day out whatever the Mallorca weather. When the current owner purchased the estate it was originally to grow wine. However, after much research it was decided to plant olive trees instead, a decision met with a degree of scepticism locally! Roll on twenty years and the estate, which dates back to the 12th century and covers some 60 acres now produces olive oil exported all over the world. 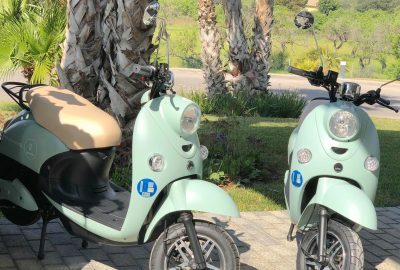 As demand has grown for their oils so a new product L’Amo (referring to the cultivator rather than landowner ) has been launched, made from olives grown on land not owned by the estate but overseen by Aubocassa. A project which has been a complete triumph. 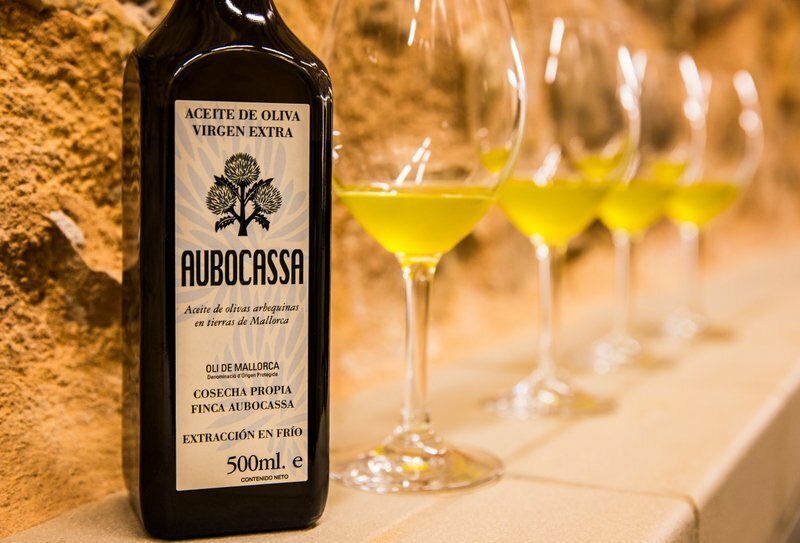 Aubocassa´s oil offers a mild but intensely fruity taste and has received many awards, both nationally and internationally. So why not book a tour ? 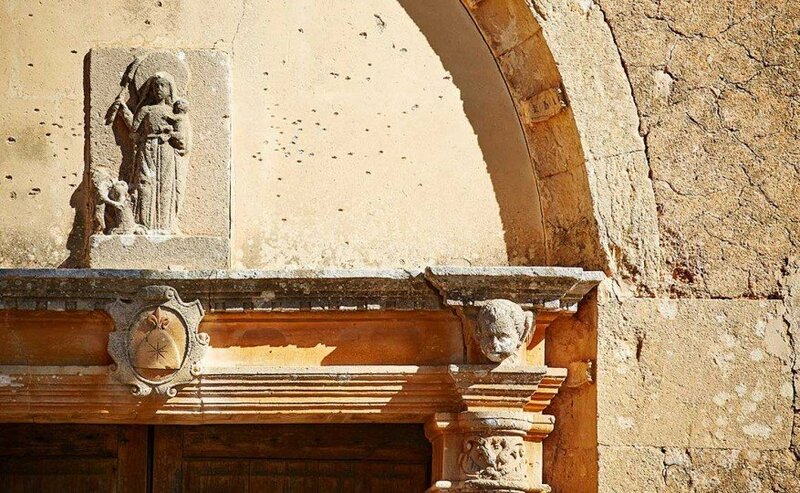 A small charge of €10.00 per person is made for a tour lasting approximately one hour which finishes off with an olive oil tasting and of course a little time to purchase some of their delicious oils to take home from the new shop. The estate is easy to find and you will be warmly welcomed upon your arrival. If you happen to be in Mallorca in October or November you will even get to see the olives being harvested! Make a day of it! Visit Aubocassa in the morning and take a run into Manacor and enjoy an amazing lunch at Restaurant Ca´n March one of the oldest and well loved restaurants in the area. Images kindly provided by Aubocassa.